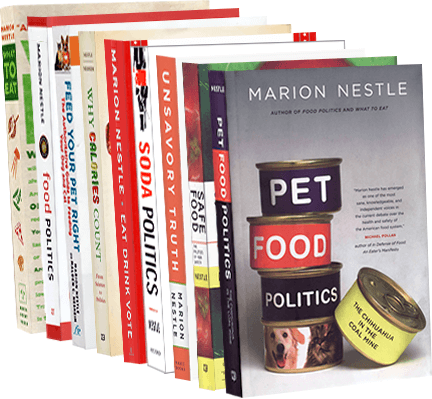 Food Politics by Marion Nestle » Raise your hand for chocolate milk? Raise your hand for chocolate milk? Thanks to Marlene Schwartz of the Rudd Center for Food Policy and Obesity at Yale for alerting me to this Associated Press report about the new dairy industry campaign to rescue chocolate milk from the food police. This, you will not be surprised to hear, is the latest activity funded by the milk checkoff program, a USDA-administered program that requires certain commodity producers to contribute funds to a kitty to be used for generic marketing. One such program is MilkPep, the incredibly well funded marketing group that together with the Dairy Council invented the “Got Milk” mustache campaign. MilkPep is now the proud defender of chocolate milk against efforts to get it out of schools. Why would anyone be so mean as to want to do that? Maybe because chocolate milk has more sugar and calories than plain milk? No matter. MilkPet is stepping up to the plate. Its $500,000 to $1,000,000 “raise your hand for chocolate milk” campaign takes on those pesky nutrition advocates who think that kids ought to be eating something other than sweets in schools. The rationale for the campaign? If you get rid of chocolate milk, kids won’t drink milk. You will deprive kids of the nutrients in milk and contribute to the “milk deficit.” After all, this rationale goes, chocolate milk is better than soda (Oops. Didn’t we just hear something like this relative to the Smart Choices fiasco?). Doesn’t this sound like something ripe for satire? Colbert! We need you! Additions: Do not miss the YouTube version. And here’s theofficial MilkPep press release. Note the testimonials to the benefits of chocolate milk. It’s a health food!